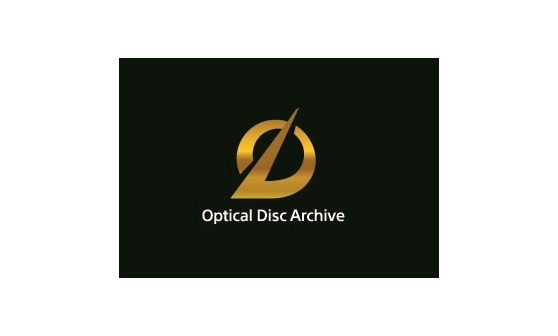 Content management software applications that simplify the storage, retrieval and management of audio-visual content with Sony's Optical Disc Archive (ODA) system. 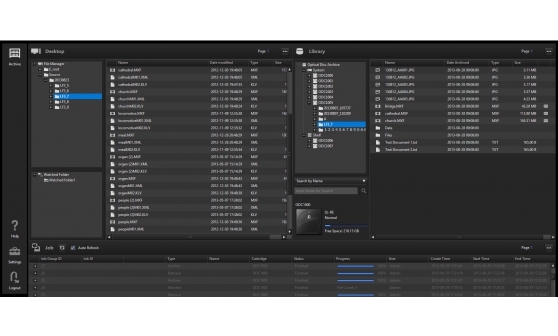 File Manager2 (FM2) is a successor software to the existing File Manager software. 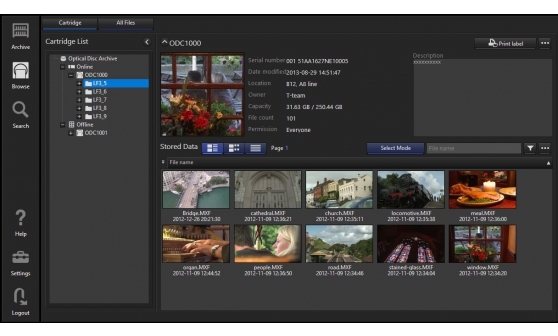 FM2 allows the ability to archive / retrieve your contents to / from Optical Disc Archive Drive and Petasite Library from a PC. File Server mode License of FM2(FSL) is an option license for File Manager2. 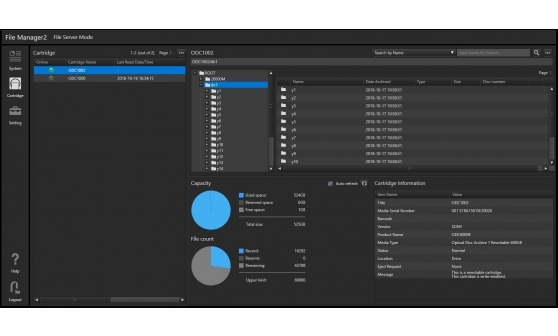 The license enables standard file IO interface of File Manager2, and it can be usable by local or network applications (SMB). Virtual Tape mode License for FM2, (VTL), is a option license of File Manager2. The license enables tape protocol interface of File Manager2.